Munnar (Malayalam: മൂന്നാര്‍) is a town located in the Idduki district of India's Kerala state, situated in the south Western Ghats of India, the name Munnar usually refers to the whole tourist area of the Idukki District of which the town forms only a small part.The name Munnar is believed to be derived from the Malayalam/Tamil words Munu (three) and aaru (river), referring to the town's strategic location at the confluence of the Muthirappuzha, Nallathanni and Kundaly rivers. The Munnar panchayat in the Devikulam block is the largest panchayat in the Idduki district having an area measuring nearly 557 km². Essentially a pass ; the area around Munnar is surrounded by vast jungles and remains wet and cold during most of the year. The entire area of Munnar officially belongs to the government of Kerala; though the Poonjar royal family (its pre-independence owners) have made claims to the contrary. Sprawling tea plantations, picture book towns, winding lanes, trekking and holiday facilities make Munnar a unique experience for the tourist and traveller. Munnar is essentially a tea town. There is a large population of people from Tamil Nadu. [Old Aluva – Munnar Road]. The Reconstruction of the road was started in 1891s and was completed in the following decade. In fact the road has a much older tale to tell. The road that the local people showed the British was the remnants of a glorious past, Bits and pieces of an ancient Royal Path that connected the historic port city of Musiris (Now Kodungallur) with the city of old Madurai. The road covered the Western Ghat-–home to invaluable natural resources. The history of trade through this route traces back to the times before the Old Testament. There is enough evidence suggesting the importance of the road and the city of Musiris in the history of ancient globalisation.It's a lush green carpet of tea plants. The presence megaliths and so many other historical monuments point towards a civilisation over 3000 years old. The ancient Pathway(road) was constructed in the Chera Era (300 BCE to 250 CE). The road, which transported valuables including sandalwood and spices from the misty heights to Musiris, was once the backbone of an economy. As trade in these items increased, Feneshiya/Arab/Roman/Chinese traders were attracted to India, and more specifically Kerala. The road is a rather unique one. First, it runs almost parallel to the rivers Periyar and Pooyamkutty. Second,It has no steep slopes and maintains almost a constant slop of 1:10. Third, it goes through The Western Ghats, one of the world's ten ecological hotspots. This place is famous for the "Neelakurinji" flower . Third, nobody has as yet traced the ancient road in entirety. The reason being, the change in topography of the land over centuries. The Great Flood in 1354 almost wiped out the city of Musiris, destroyed the port and, as if in a quid pro quo, formed the natural contours enabling Cochin Harbour. The course of the rivers was also changed considerably, making it difficult to apprehend how the road, described as following the ancient river course, actually would have been. However there is enough evidence to show that the road existed and a civilisation prospered by the side of it. The remnants of old Forts, Nannangadis, and Muniyaras (dolmens) around the region show the same. The region in and around Munnar varies in height from 2,000 meters (6,562 ft) to 2,600 meters (8,530 ft) above mean sea level. Munnar enjoys a salubrious climate. The temperature ranges between 10 °C (50 °F) and 0 °C (32 °F) in winter and 8 °C (46.4 °F) and 16 °C (60.8 °F) in summer. 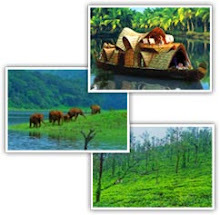 The tourist season in Munnar is from August to May. However, even the monsoons are lovely with many streams and rivulets in the area and post drizzle the dew drenched tea gardens looking majestic and heavenly enshrouded in light mist . Most residents of Munnar are employed in the tea industry, or are involved in the tourism business. In 2000, the Government of Kerala declared Munnar as a tourist spot. 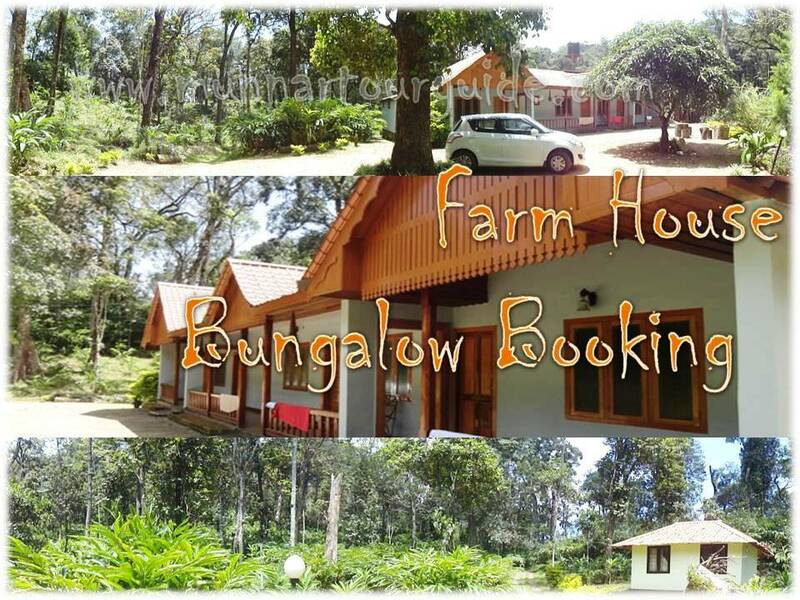 This has helped in attracting more tourists to this beautiful hill resort. Several protected wildlife areas and the regions attractive climate area attract many tourists who support the many hotels, restaurants and transport businesses in Munnar and constitute an important, if seasonal, mainstay for its economy. Until the early 1990s, Munnar, despite its enchanting natural beauty and salubrious climate, continued to remain a sleepy plantation town. Its tourism potential was realised only by the Sterling Group and Mahindra Holidays. However, the promotion of Kerala globally as God's Own Country and the rapidly increasing spending capacity of middle class Indians has resulted in a virtual explosion of tourism activities in Munnar. Resorts, big and small,have started springing up all around the town and overnight the once sleepy town has became a bustling tourist destination. Many of the developments done by unscrupulous investors have had a significant detrimental impact on the environment in Munnar and the once romantic beauty of the "sleepy town of Munnar" has significantly eroded over the years. Moreover the huge throng of domestic and foreign tourists in their buses and cars have added to pollution in Munnar and stretched the town's infrastructure and service delivery systems to their limits. Earlier most of the land around Munnar was leased out to planters and the only activity permitted on such leased land was plantation of cardamom. Ownership continued to remain with the Government and even cutting of trees on such leased land was prohibited. However, the recent development of resorts has resulted in large scale deforestation and violation of government regulations governing land use, forests and plantation cultivation. It ultimately came to a pass in 2007, and the Government sprung into action to demolish illegal resort constructions to restore the beauty of the town. Irrespective of all this, tourism has flourished over the years in Munnar and important tourist activities include boating (in the reservoirs of the many dams), trekking, parasailing, hot air ballooning and camping and wild life safaris in the jungles and sanctuary. The presence of all these activities and more has ultimately led to Munnar becoming a choice destination for foreign as well as domestic tourists. One can also see people from nearby districts in Kerala and Tamil Nadu thronging the town during weekends. Munnar was the starting point of Kundala Valley Railway functional between 1890 to 1924. Most of the native flora and fauna of Munnar have disappeared due to severe habitat fragmentation resultant from the creation of the plantations. However, some species continue to survive and thrive in several protected areas nearby, including the new Kurinjimala Sanctuary to the east, the Chinnar Wildlife Sanctuary, Manjampatti Valley and the Amaravati reserve forest of Indira Gandhi Wildlife Sanctuary to the north east, the Eravikulam National Park and Anaimudi Shola National Park to the north, the Pampadum Shola National Park to the south and the proposed Palani Hills National Park to the east. These protected areas are especially known for several threatened and endemic species including Nilgiri Thar, the Grizzled Giant Squirrel, the Nilgiri Wood-pigeon, Elephant, the Gaur, the Sambar, and the Neelakurinji (that flowers once in twelve years).